All of our candidates have been interviewed in person and we have copies of ID , certificates and references on file. We have a very large database and included in this is an impressive amount of candidates with twin experience. Our company has been in existence for 9 years. If you have not quite decided whether or not to employ the services of an Au pair, then this list of advantages will surely help to convince you that there are far more advantages than disadvantages when making this important decision. •	Undivided attention. The children receive undivided attention with an au pair. •	Undivided time. Children have one on one contact with their extra mural activities and homework where as an after school care for e.g. would have to divide their time amongst the children. •	Regular feedback. The parent would get daily or weekly feedback on the child’s progress in great detail where as at school it would be of a far more general nature. •	Transport. 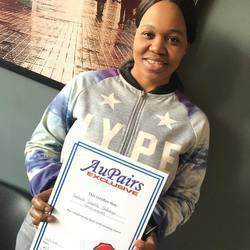 The au pair has her own car and valid license so she can take and collect the children from school and take the children on fun outings and even on more important events such as a doctor or dentist visit. •	Time control. The parent has more control over the stimulation that the child receives in terms of what toys are played with and what activities take place in the home. Most families with au pairs request that the amount of TV viewing is limited. This is possible as the au pair is committed to playing with and / or stimulating the young child and supervising the time of older children. •	Healthy alternative. 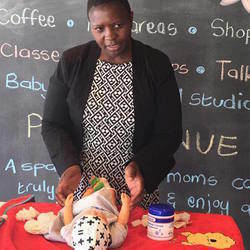 From a health perspective children are less likely to catch the common cold that go around at crèche. They will also eat a healthy meal because there is not as much importance on the cost of supplying food to a large group of children and the au pair has the time to prepare healthy meals. •	Healthy marriages. 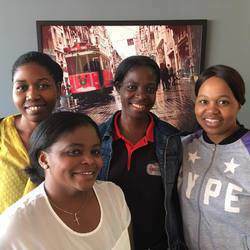 During the school term, parents are able to spend time together while smaller, often less important tasks, such as running errands are seen to by the au pair. If the family goes on holiday they have the option of taking the au pair with them so that the parents can spend some time on their own. •	Help at hand. The au pair can assist with the running of the home e.g. she can do the grocery shopping, pay bills and run errands. •	Friendship. The au pair becomes a member of the family, in many ways and can provide a solid friendship and positive influence to young children. •	Expensive. An aupair is often a more expensive alternative to other childcare options such as a childminder or nursery school. •	Attachment. The child may get very attached to the aupair. •	Socialisation. The child might not develop as quickly as her peers on a social level because she won’t be exposed to other children on a daily basis. This is if you have a full day aupair so your child does not attend school. •	Trust. Parents need to trust the aupair because she will be exposed to all the families’ private affairs. •	Change. The girl that is an aupair could be using it only as a gap year job and constant changing of aupairs for children could have a negative effect on how they perceive latter relationships. Deciding to employ the services of an aupair should not be a decision that is taken lightly and it is suggested that parents thoroughly investigate possible candidates, should they decide to go ahead.